The Department of Justice Inspector a General released a report Thursday showing thousands of text messages sent by fired FBI agent Peter Strzok and former FBI attorney Lisa Page were not properly preserved and presented a “gap” in investigating their misconduct at the Bureau. "The Department of Justice Office of the Inspector General initiated this investigation upon being notified of a gap in text message data collection during the period December 15, 2016 through May 17, 2017, from Federal Bureau of Investigation mobile devices assigned to FBI employees Peter Strzok and Lisa Page relevant to a matter being investigated by the OIG's Oversight and Review Division. Specifically, the OIG's Cyber Investigations Office was asked to attempt recovery of these missing text message for the referenced period from FBI issued mobile devices issued to Strzok and Page," the report states. "In view of the content of many of the text messages between Strzok and Page, the OIG also asked the Special Counsel's Office to provide the OIG the DOJ issues iPhones that had been assigned to Strzok and Page during their respective assignments to the SCO." After a number of steps by the OIG, "was the recovery of thousands of text messages within the period of the missing text messages, December 15, 2016 through May 17, 2017, as well as hundreds of other text messages outside the gap period that had not been produced by the FBI due to technical problems with its text message collection tool." The time period in question is after the 2016 presidential election and up to the appointment of Robert Mueller's Special Counsel. Page worked on the Special Counsel investigation until July 2017 and used the same phone during that time period. The same goes for Strzok, who also worked for Mueller and had the same phone. When Page and Strzok left the Special Counsel, their phones were wiped by Special Counsel Records Officer. DOJ maintains this was simply standard procedure in order to give the device to another user. Text messages prior to the election show Strzok and Page repeatedly discussing how to "stop" then candidate Trump from becoming President of the United States. The OIG did not produce the content of the text messages in its report. 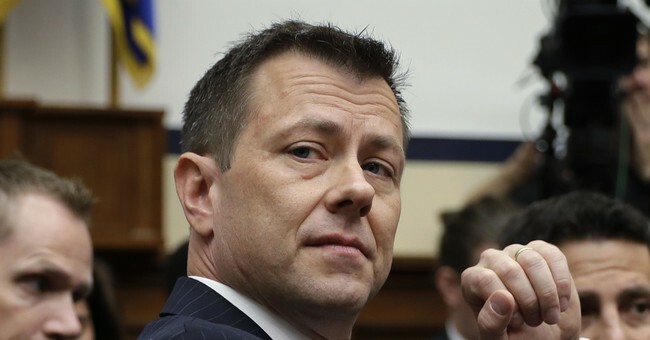 "The OIG forensically recovered thousands of text messages from FBI mobile devices issued to Strzok and Page through its multiple extraction efforts. Approximately 9,311 text messages were recovered from Strzok's S5 [Samsung]," the report states. "Approximately 10,760 text messages were recovered from Page's S5."